I've officially gone deep into the rabbit hole of backhand technique. I feel like Jack Bauer on hour 23 of saving the world from some plot that involves 17 double crosses and corruption in the reach back and... not you plant foot??!! You would do this to me?!?! It's been an evolving internal dialog while I'm doing all this fieldwork and reading in the dark corners of the form/analysis forums that has me thinking about learning how to drive from a standstill. It is regularly given out as advice to people looking to fix their form. The issue I have with this advice is that a distance drive from a standstill does not translate into fixing the way 99% of players drive, which is with an x-step or an x-hop. "But how will they learn to shift their weight? It will help smooth out the backswing! ", I can hear the calls of heresy already. You do not generate your forward momentum the same way in a stand still drive. In a stand still you have add something to the movement that you do not have to add in an x-step. It's much easier to take a step or two to get your hips moving. I'm not saying that there's no value in learning to drive from a standstill. I'm saying that if you're working on getting the fundamentals down, take the easy access to power first. I am making a big assumption, and it's probably the biggest hole in my argument - but I'm assuming that you aren't strong arming. The Dan Beto Video teaches how to make sure to accelerate the disc from your right pec... and it's probably taught more people the right way than any other video. The right pec drill though, once you've worked out where to pull from, isn't going to fix all the other issues of timing that you still have to work out. And driving from a standstill and throwing upshots from a standstill are two different things. I believe that regularly throwing piles of upshots from 50-250' is a great idea... but toiling away to hit 350' from a standstill with a putter, I just don't think it's the best use of my time. Add a step and save yourself the headache. At least that's my argument. There seems to be two common ways to generate a weight shift when driving with an x-step or x-hop. You can twist your hips against your core muscles during the reach back, then drive your knee down to uncork the hips, the core, the shoulders. This style is clearly visible in Will Schusterick's form. He has what I'll call an "active knee drop" where he's using the forward momentum from the x-step that's pushing him down the tee-pad instead of pushing with the back foot. When you watch the full video you can see his hips are staying at the same velocity throughout the x-step until they stop during the plant/twist/open. The hips are not really accelerating from the plant foot - they're maintaining the momentum created in his x-step. His knees work together like a wave; it's really impressive. Feldberg exemplifies the second style I'll call a "straight knee", which is much less driven from a twisting hip and more from a hip driving forward and the hips open with the drive, not from the dropping knee. He is accelerating his hips forward from his back foot to his plant. When you watch the full video, you can see Dave actually catches up with Will by accelerating forward to his plant foot (even accounting for the fact that he's further back in the teebox) because he's pressing/sliding his hips forward with that back foot. The key difference is that an active-knee is going to require that back knee to get involved and some people are not built for that motion. I think Paul McBeth is somewhere in between. He does drop his knee, but it also appears that he's getting some drive from the instep of his back foot before he drops his knee. And here's the kicker and one of the most frustrating parts of digging through all the footage, the screen shots, the posts... as players start taking some heat off a throw, they all do it different ways. Don't drive their hips open with the knee. Don't involve the hips as much. On top of that, they will adjust how closed or open their shoulders are and on top of that the amount of hyzer or anhyzer they can change things as well. But for now, we can see that just in the hips, there's 2 distinctive styles. An active hip opening (Will) and a more combined hip/core opening (Dave). Yeah, frustration is something I deal with. Here's where the whole topic starts to get frustratingly confusing for me. 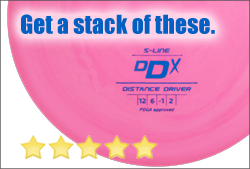 Recently you were talking about the idea of reaching out with the disc instead of reaching back so much, yet Shusterick, as seen in the above clip, is a classic example of a guy who reaches straight back much more than he does out. 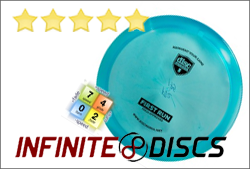 A very linear pull direction - he managed to get his chest out of the way so he doesn't round the disc out early. You were talking about the idea of your non-plant foot being aligned so that the knee can be driven inward, yet Shusterick doesn't seem to do that. He's able to twist around somehow. And then there is all the endless discussion on the web of the Beato pec drill, and Walkers 'throw the hammer' concept (More Snap videos) and yet Feldberg barely even bends his elbow while throwing. He's violating the 'rules of snap' and yet he drives quite far. His technique is frankly a bit bizarre to me, and I've seen no one else doing quite the same thing, yet it obviously works for him and if you've watched any of his instructional clips, it is clear that his technique is hardy some sort of accident but a highly analyzed movement pattern. People talk about not curling the disc inward during reach back, to make use of tendon bounce at the wrist, yet Wysocki does curl his wrist strongly inward when he is winding up, and he can huck way far. Just when I piece together a good bio-mechanical technique - at least in theory, you see someone else throwing quite well without using that technique and it leads me to wonder if my conclusions about technique were even right in the first place. I know exactly what you mean. I think the key thing to keep in mind is that solid fundamentals will improve your accuracy, get distance with less effort, and keep you more injury free. You're dead on with seeing that top pros all do micro movements different. Wysocki noticeably curls his wrist, but he's so huge and strong and GOOD that he can get away with it. Will is able to get so low with his knees in that position by apparently being made of rubber that he can get insane angles to generate a huge whip going. I regularly think that it would be really nice to have a disc attached to a physical rail that shows you the path is should be pulled along and where the acceleration is. Trial and error seems to be the only way to get around it for now. I was out this morning, trying to keep my shoulders more closed. Still more trial and error! Chris Hall has some excellent observations and details the frustrations well. After another year and a half, where do you now stand on the varying techniques exhibited by the pros? From what have you learned from trial and error that can be put into a form manual that will help clear all this up for beginners. Or must all of us go through trial and error? As a ball golfer who once had a decent swing, I can tell you, there is a right way (the fundamentals) and their is a personal way (Jim Furyk). I am sure Jim was taught the fundamentals at some point. But unlike ball golf, there is very little in the way of fundamental golden rules - at least not documented without a lot of background noise. Your blog is the closest thing to that I have found (Thank you, btw). But as far as far as I can tell your backhand bible was posted 10 days before this article. Do you have a more "updated" one based on your ongoing experimentation? Let me again thank you for your excellent work. That's a great idea for a new article. I think that there's about 5 core fundamentals that the top pros of today all master - and another 3 or so that become more of a "variation" from player to player. If I could distill it down to one point though, I'd say the backhand is best likened to trying to use an x-step and hit a tee ball with a left handed baseball swing, BUT holding the bat with your right hand. When you watch Will in that animated gif above, imagine him holding a short bat with his right hand and trying to connect with the ball out front of him. That thought experiment has helped me many times with focusing my balance and weight into a powerful swing. I think that's an important dividing line: it's a powerful swing, not a powerful throw. The more power you attempt to put into the arm, to throw it hard, the worse the swing gets. By using that baseball analogy, you consider the back of the disc the end of your bat - and it changes the focus from "throwing the bat" to accelerating the end of the bat - by holding onto the handle. I'll have to start thinking about this a bit more... thanks for taking the time to post! I think that might be a bit confusing: it IS a powerful throw, but it's powerful because of the whole system.